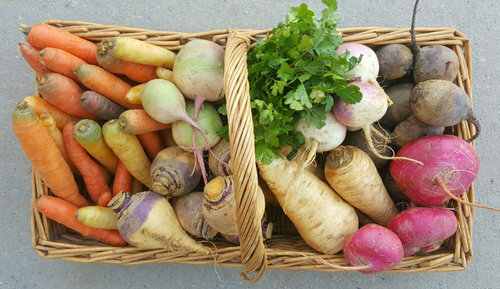 Lots of root veggies again! Note: For those of you who ordered from Lewis Waite, they have re-scheduled their delivery to next Tuesday, March 13. You may come after 5:00 pm to pick-up your items. One of the core team will be there to oversee the pickup. Members signed up before April 1st will be able to choose preferred dates for volunteering. We hope to see you May 31st! Come meet the farmers from our regional farm, Golden Earthworm Organic Farm, as well as the farmers from Goodale Farm, our meat, dairy amd egg supplier. Also present will be Lewis Waite, our online food purveyor vendor who provides all sorts of organic food items, and representatives from Spice Tree Organics, S & V Jams, Astor Apiaries, Queens Hot Sauce, other add-ons we supply. 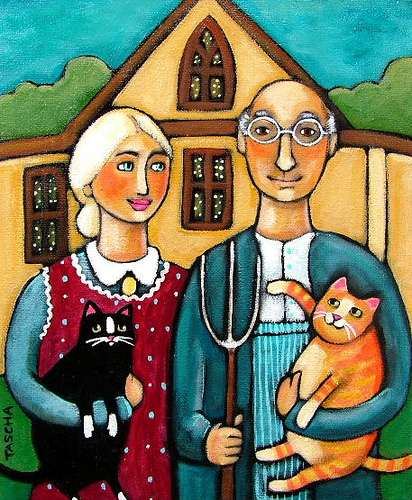 And we are featuring the acclaimed documentary Farmers for America ! 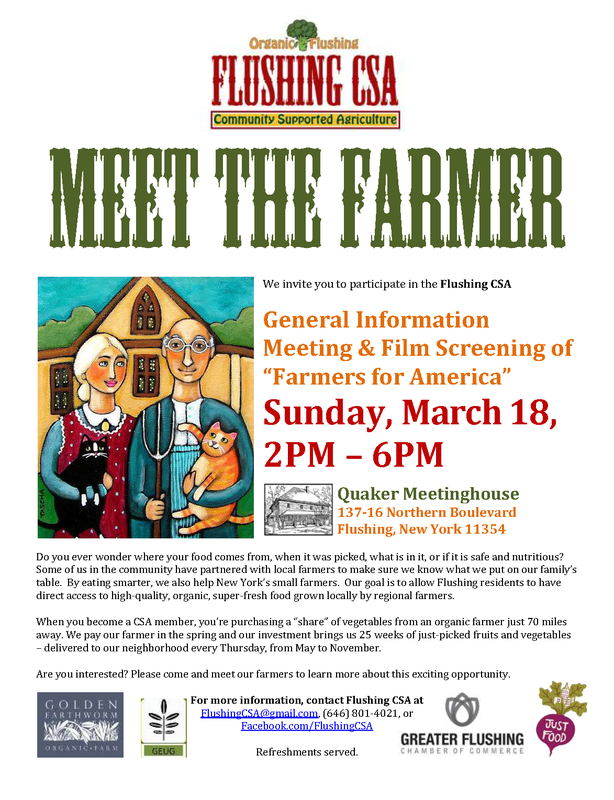 This gathering will take place at the historic Quaker Meetinghouse, located at 137-16 Northern Boulevard, across the street from Flushing Town Hall where we pick up our produce. Map here. If you are available to volunteer at this event please contact us. This will count towards volunteer hours. If you know anyone who would like to have a vendor table, have them contact us. Emily – do you want to mention the Just Food Conference? 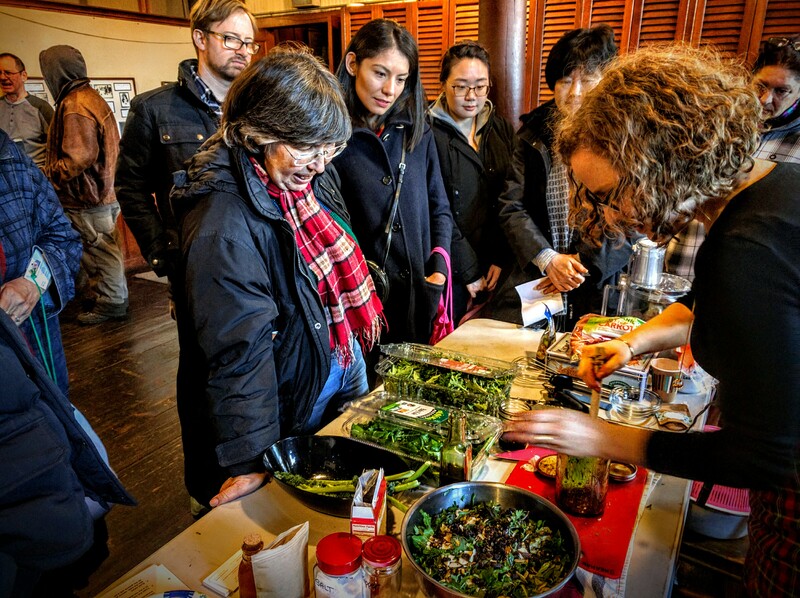 Sunday, March 25, is the 2018 Just Food Conference at Teachers College, Columbia University. The Conference is a great opportunity to learn about food justice and This year’s theme is Persist/Resist!